Consistency, expertise and a commitment to always deliver beyond expectation is what we strive for with every bottle of Glen Carlou wine. 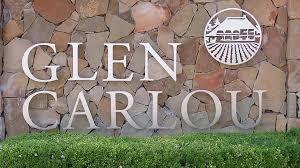 Established in 1985, Glen Carlou is a relatively young estate which has built an enviable reputation as one of South Africa's leading producers. Nestled in the heart of the Paarl Winelands, with vineyards at the foothills of the renowned Simonsberg Mountain, our grapes revel in their terroir. In 2017 we mark our 30th harvest of Chardonnay. We are Curators of Classic Wines – it permeates everything we do – our respect for the environment and its unique terroir, the way we nurture our people and the painstaking care and judicious practices that go into producing every bottle of Glen Carlou.